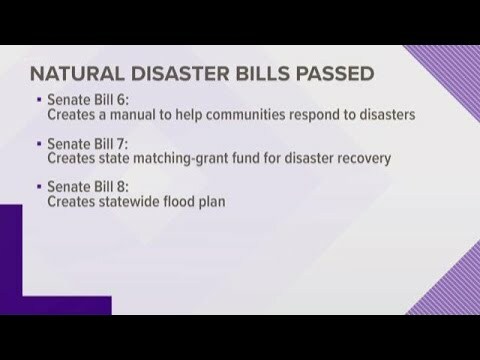 Texas Senators unanimously passed three bills to make sure Texas is ready for the next natural disaster. STORY: https://bit.ly/2TZdhNf. AUSTIN, Texas — On Wednesday, the Texas Senate approved Senate Bill 500, which accounts for the State's supplemental budget covering Harvey, the Medicaid shortfall and other needs for the state.